Deciding on a roofing material for your home can be a little overwhelming. There are so many options and you might not know which one to choose. Each different material has its own set of pros and cons for the climate in which you live. You’ll need to do some research to find out what kind of material will be best for you. Hopefully, this article will help you feel more confident in making a decision. Here are some important roofing materials you need to know about. Asphalt shingles are among the most common of all the different roofing materials out there. The reason why is because they are suitable for almost any weather condition. They do well in the heat and the cold. Asphalt shingles are very durable and you can expect them to last around 20 years before you need to replace them. Particularly windy areas might need to replace their shingles a little sooner. There are different qualities of the shingles so make sure you get a better quality that can hold up in the wind if the wind is common where you live. You’ll definitely get your money’s worth with asphalt shingles. The problem with slate is that it is not suitable for all weather conditions like other types of roofing materials. Slate can break if too much weight is put upon it. That means if you frequently need to go up on the roof you’ll need to be very careful not to break it. Hail can also break slate if hail is common in your area. The good news is that if you don’t live in an area with a lot of hail, slate can last up to 100 years! This is great because slate is also very expensive so you’ll want it to last as long as possible. Slate is also waterproof and will not develop mold or fungus. This makes it a good choice for really wet climates. Rubber slate is one of the more unique roofing materials. It is designed to look like real slate, but it is made of rubber. Rubber slate can be cut with a knife very easily. This means that you can technically make any shape of shingle or roofing details that you want. You could have a very unique looking roof. This kind of roofing material can last up to 100 years but that’s not very likely. Rubber slate can be easily damaged by a lot of things. Any sort of walking, hail, or even a satellite dish could cause damage to your roof. Green roofs are by far the most unique of all the roofing materials out there. A green roof is a roof that is made up of plants! Think about the Shire in The Lord of the Rings. Your roof could be made of green grass, flowers, or any other plant you’d like. Although beautiful, this is a more difficult roof to maintain. Green roofs need extra support since it is mostly made of soil and plants. This means there will need to be several extra layers that will need to be added. These layers include a vapor barrier and thermal insulation. You’ll also need to make the roof waterproof and have a good water drainage system. 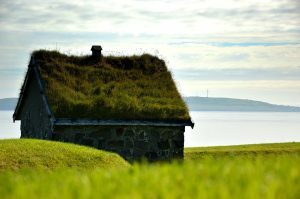 Although difficult, a green roof is unique and very beautiful. Metal roofing is a great choice for roofing materials for most climates. Areas that experience a lot of snow may want to consider a metal roof. Snow will easily slide off the side of your house when you have metal roofing. This is great because it will take off a lot of weight from your roof, saving it from having to hold up so much. Thus, extending the life of your roof. The metal is very lightweight and won’t break or get damaged when walked on. Some people don’t like metal roofs because they’re noisy during a rainstorm. However, other people like hearing the sound of falling rain. Corrosion can happen to metal roofs but it will vary greatly depending on the type of metal you install. This is also a cheaper option than others if you’re looking to save money. Concrete is among the heaviest of the roofing materials, excluding slate. The best thing about concrete roofing is that it’s incredibly durable! It can withstand all sorts of terrible weather conditions. A concrete roof can withstand hurricanes, tornadoes, and even earthquakes. Talk about strong! Concrete roofing works best in climates that are warm and dry. 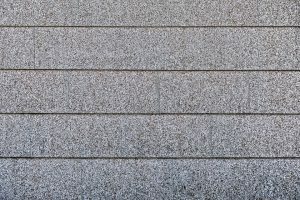 Since concrete is so heavy, it may require added support to ensure that it stays up. You wouldn’t want the weight of your roof caving in. It might be a more expensive option since you might have to add a lot more support for your roofing choice. Stone-coated steel roofing materials are designed to look like slate or clay shingles, so they usually look really nice. This is a very strong choice that can withstand extremely heavy rains as well as fast winds. That makes this material a great choice for really wet and windy climates. However, this material is also a good choice for areas that are more prone to wildfires because it’s fire resistant. 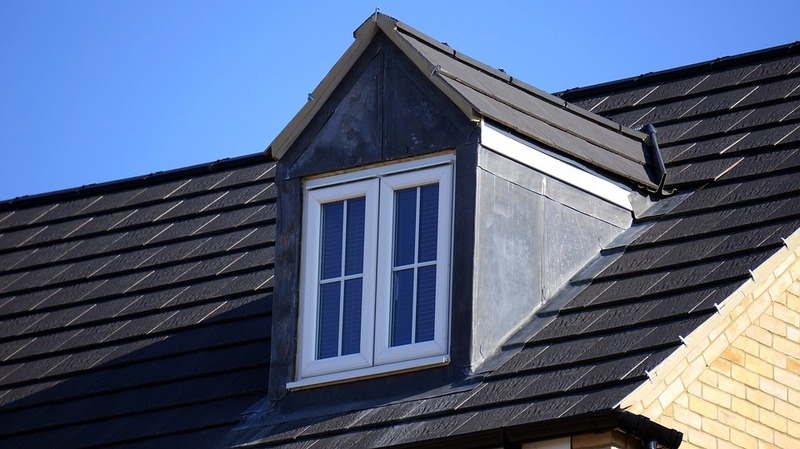 This is not a common choice of roofing material, but it may be the right one for you if you live somewhere that receives a lot of wind and rain. Solar panels are a great choice for very sunny climates. Not many roofing materials can save you money over time, but this one can! 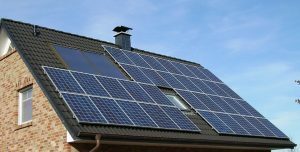 Although solar panels are expensive to install, they will save you money in a couple of years by giving you free electricity. Sometimes they can even earn you money. Some electric companies will pay you money because your solar panels have produced enough electricity to put some back into the grid. How cool! These are a great choice if you get a lot of sunlight and you’re willing to spend money now to save money later. There are many different kinds of roofing materials. The hope is that you’ll be able to make an educated decision by reading about them. Think about where you live and the kind of weather that is most common. This will help you choose roofing materials that are best for you. So take it slow and you’ll be able to find something that is perfect for you and your family.